The new Oppo A7 mobile phone computation against the Moto G7, Xiaomi Mi 8 Pro, Vivo Y93, Lenovo S5 pro, Huawei mate 20 pro Honor 8x and Nokia 6.1. 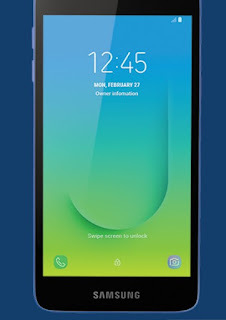 New Oppo A7 mobile phone present dual rear cameras, improvised batteries, full HD + Display, fingerprint scanner for added security and an a dual SIM and Android v8.1 (Orio) with 1.8GHz Qualcomm Snapdragon 450 Octa core processor. 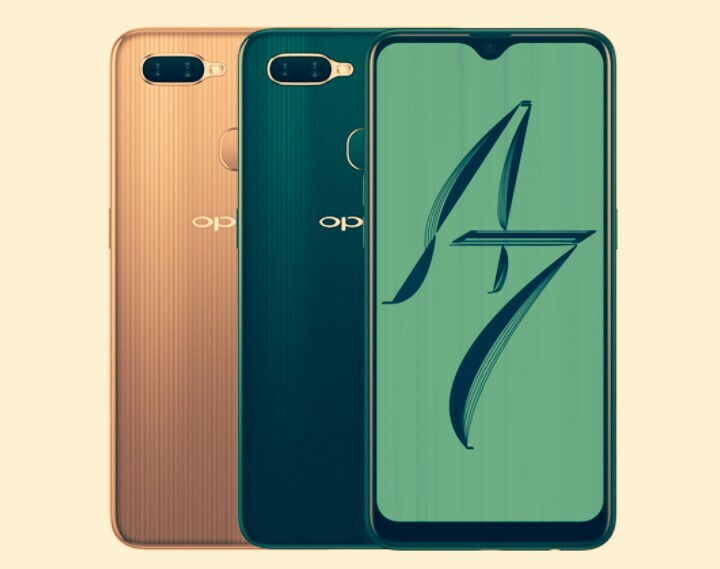 The Oppo A7 mobile phone will be sold in Glaze blue and Dazzling gold colours. This is a budget friendly smartphone with good features from the brand Oppo. Oppo A7 Price in India, Specifications and Features. 1. The dual primary camera 13MP(f/2.2) + 2MP(f/2.4) with aperture and front camera is 16MP(f/2.0). In this mobile you can take good quality photos in low light. This amazing smartphone camera, captures outstanding portrait with natural background effect each photo is a compelling story of your beauty, present AI Beauty selfie. Oppo A7 mobile primary camera features is, single LED flash, panorama, digital zoom, 2x optical zoom, face detection, touch to focus, (HDR). 2. Display size is 15.75cm(6.2-inch)HD + IPS LCD capacitive touchscreen, 16.7M colors with 720 × 1520 pixels at a PPI of ~271 pixels per inch. 4. Android v8.1 (Orio) with 1.8GHz Qualcomm Snapdragon 450 Octa-core processor. 5. As for memory storage is, 4GB RAM and 64GB internal memory and expandable up to 256. 4GB RAM, it means that, you can download so many games, apps, pictures and videos. 6. Oppo A7 mobile battery backup so many good because it have 4,230mAH Li-ion battery. A) 10 hours of gaming. B) 10 hours internet surfing, C). 12 hours video playback D)14 hours music. 7. Let's talking about new Oppo A7 security, your fingers is now your password. Finger Access is a secure and private new way to access and validate. fingerprint sensor is placed at the in rear of the smartphone. 8. New Oppo A7 is a dual SIM(nano + nano), smartphone that accepts a Nano-SIM and 4G(support Indian bands), 3G,2G. 2x Optical Zoom, LED flash, low light enhancement, HDR, panorama, phase - detection, Auto focus.